A native of Budapest Hungary, Szilvia Schranz was born to a family of musicians with a rich tradition in the Hungarian National Opera House and Hungarian Festival Orchestra. Ms. Schranz studied vocal performance at the University of Colorado, Boulder, and earned a post-graduate diploma in vocal training from the Guildhall School of Music and Drama in London with world-renowned voice teacher Vera Rózsa. She received a master’s degree in vocal performance from the Manhattan School of Music. Ms. Schranz has appeared with the GRAMMY-winning Takács Quartet and performed at the Denver Center for Performing Arts with their Tony-award winning theater company. She performed at the Queen Elizabeth Hall and St. Martin-in-the-Fields with the London Chamber soloists, at the Royal Albert Hall in London under the late Sir Colin Davis, and with the New York Philharmonic Chorus under Lorin Maazel. Gábor Takács-Nagy invited Ms. Schranz to sing with the MÁV Symphony Orchestra in a performance broadcasted over Hungarian Bartók Radio. She can also be heard on Arsis Audio’s recording of Su Lian Tan’s “River of the Trunk” with Margo Garrett. Ms. Schranz collaborated with the late Pulitzer-nominated war photographer Chris Hondros to develop My Heart, A Well of Tears, a multi-media project that featured the music of Bach set to images from conflict zones around the world.  Ms. Schranz appeared with the Boulder Chamber Orchestra and the Boulder Philharmonic, as well as the Mahler Festival Orchestras. In performance of Mahler’s Mater Gloriosa, she was praised for her beautiful tone and “celestial tenderness”.